For high-quality free video editing software, the TopBits staff actually recommend two excellent Open Source solutions. When utilized together, these two video editing productivity tools provide a reasonably comprehensive digital video editing “bay”. Movica is an ultra-compact Windows application that will allow you edit WMV and ASF files (using Asfbin) and MPEG files (using Mpgtx), which are two very decent command line editing tools. Movica provides you with a clean graphical user interface that makes the above two line editors user-friendly, and utilizes an exhaustive array of hot key combinations for editing movie files. Though the initial learning curve is a bit longer, this greatly helps prevent the errors and delays normally associated with attempting to click on options while editing, and will massively speed up your overall editing efficiency. Movica will work with any computer running Microsoft Windows with the Microsoft .NET framework installed, and utilizes your Windows Media Player for movie play-back. VirtualDub has been hailed by many adoring fans as the ultimate Open Source AVI video editing solution and justly so. Upon initial inspection VirtualDub looks far less capable than it actually is. 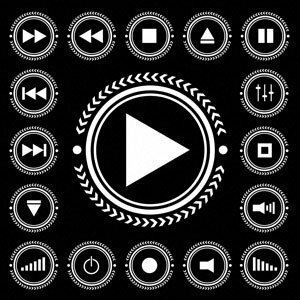 Unfortunately, while many programs allow you to “edit” video, they can be intimidatingly complex for even some of what should be the simplest tasks. To that extent, VirtualDub is not an editor application, in the conventional sense. Rather VirtualDub is a pre-video and post-video production editing ‘engine’ that greatly extends the usefulness of any video editing software you are currently using, as well as a stand-alone utility for editing and creating clips. Basically, you can import a captured video clip, trim the clutter, clean up the noise, play with filters, and convert it to the proper frame size. Even cooler, is that if you do not see a filter you like, you can simply write or outsource the one you need (i.e. RentACoder), with the filter SDK. 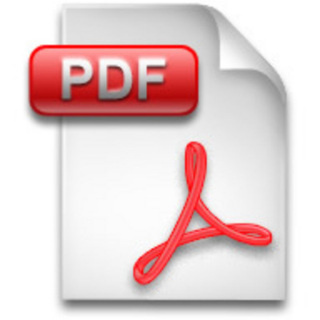 And while the documentation for VirtualDub is scantily-clad (and could certainly use a real Ghostwriter), it is somewhat adequate – provided that you have no objection to trial and error style learning. To its credit, not only is VirtualDub extremely robust- most of the most commonly useful options and utilities have been laid out in a semi-intuitive manner with a pleasant graphical user interface. VirtualDub runs under Microsoft Windows; and although it cannot be compared to the editing power of a commercial editor (such as Video Wave or Adobe Premiere), it is ideal for lightning-fast linear operations (over video). 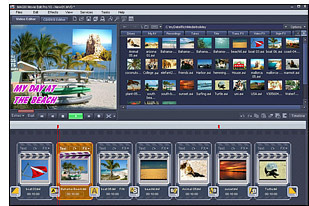 VirtualDub supports large file quantity batch-processing capabilities, is supported by numerous third party AVI video filters, can also import (not export) MPEG-1, handle BMP image sets, will work with nearly all Windows-compatible capture devices, and has a loyal support and development Global community following . This means that you are no longer shackled to the 2GB AVI barrier or having to split your production into multiple files to get around the 4GB FAT32 limitation! Supports bi-linear and bi-cubic re-sampling- no more blocky resizes or rotates! Support for 3:2 pull-down removal. ZS4 is a video editing and compositing software which aims to provide media experts with a facility to combine a variety of media types (currently photos, videos and audio files) into one (or more) output file(s). Jahshaka was written from the ground-up to work in different environments, and lets you use the tools you need to get the job done in real time. Thanks to the power of OpenGl and OpenMl you can do this on anything from PC’s to Mac’s to high-powered Sgi workstations and not have to worry about mixing video, audio and graphics card, installing custom hardware and drivers, or spending millions of dollars for high end speed, power and functionality. Jahshaka uses todays next-generation hardware to do everything in real time, regardless of what box you are running on. Thanks to the power and economics of mass markets, todays pc’s come with everything you need to create any kind of media you want. Todays graphics cards would have cost hundreds of thousands of dollars just a few years ago and deliver an unbelievable level of power and speed into your hands. This is the power that drives Jahshaka. Jahshaka’s morphing interface allows you to work as a editor when you are editing, to work as a compositor when you are creating effects, as a audio enginer when you are mixing, and as a animator when you are doing 3d. It will even allow you to create your own hybrid interfaces to match your workflow. What is up with this site? I’ve tried to download two different programs…spent much time…couldn’t get either. Registered…couldn’t log in because my name was not enabled? 193 queries in 0.375 seconds.